Pive Toivonen (b. 1976) is a visual artist from Finland. She received her MA from the University of Arts and Design Helsinki / Aalto University in 2002. 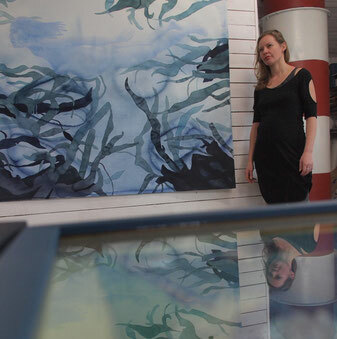 She works with painting, environmental art and art education. Her main media is water color painting with ecological and site specific aspects. She uses painting as a way to documentate – like drawn photographs, slow camera. Art is a way to show things in life that are meaningful, short passing monents or bigger pictures.